If you have been looking into popular juicing machines chances are good that you have at least considered masticating juicers. There are several different types of juicers on the market today and the masticating device is but one of the popular options. Here are the main benefits of a masticating juicer. You have heard that variety is the spice of life? Well, when it comes to juicing it is nice to have options and a masticating juice extractor gives you just that. You can turn nearly any fruit or vegetable into a healthy drink, this includes green leafy vegetables as well as wheatgrass. You can create practically any juice that you would like with these machines. Centrifugal machines cannot handle green leafy vegetables or wheat grass. When you are aiming to create a healthier diet for yourself or family this type of juicer may be the answer. You get more nutrients from your vegetables in fruit due to the slower processing speeds of the device. You see, heat causes oxidation, which will rob your vegetables and fruit of their essential vitamins and minerals. Masticating machines are specially designed to prevent this from occurring. 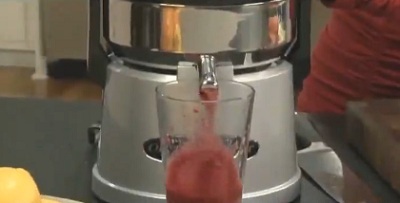 Masticating juicers will produce much more juice from your chosen fruits and vegetables. These devices can be either single or double geared, the more gears the machine has the more efficiently it will break down the cell walls of your chosen ingredients resulting in the most yield possible. When you want to create your favorite drink for the entire family or make your juice in bulk a masticating machine is the best option. Do you want a machine that can do double duty in the kitchen? Some juicers will produce juice and nothing more; however, a masticating machine can also grind coffee beans, make fresh baby food and even process peanuts to make your own peanut butter! Talk about a versatile machine! No other juice extractor can offer this type of versatility. 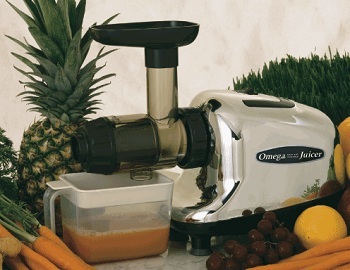 If you are new to juicing, a masticating juice extractor may seem a bit intimidating. They are generally slower than the centrifugal devices and a bit more difficult when it comes to clean up. Nevertheless, if you are thinking about creating healthier drinks and food products for you and your family this device is practically necessary have. Along with making, the healthiest juices out of a wide variety of fruits and vegetables these machines offer you the option of making many other healthy food products. Baby food, homegrown spices, peanut butter and a variety of sauces are just the tip of the iceberg. When health is your number one concern, a masticating juice extractor should be the number one appliance in your kitchen.